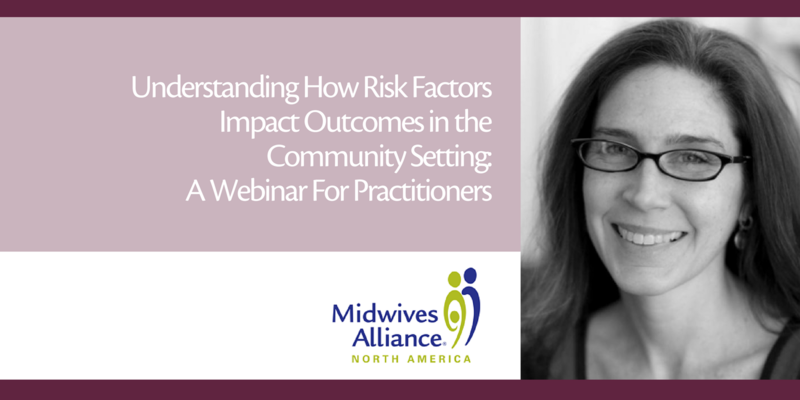 Learn about how your practice can apply recent research on how risk factors impact outcomes in the community setting in a new MANA webinar. This webinar, led by co-author Melissa Cheyney PhD, CPM, LDM, will update you on the findings of the recently released article in the journal Birth: Issues in Perinatal Care, entitled Perspectives on risk: Assessment of risk profiles and outcomes among women planning community birth in the United States (learn more about this research here). This webinar is a part of a series designed to brief practitioners and consumers on how to apply the findings of recent research to daily practice and decisions about place of birth. Watch here for details of the consumer-oriented webinar. Register: Free registration required. See registration link below. Please help us spread the word: share this Facebook event with your community birth peers. Melissa Cheyney PhD CPM LDM is Associate Professor of Clinical Medical Anthropology at Oregon State University (OSU) with additional appointments in Public Health and Women Gender and Sexuality Studies.